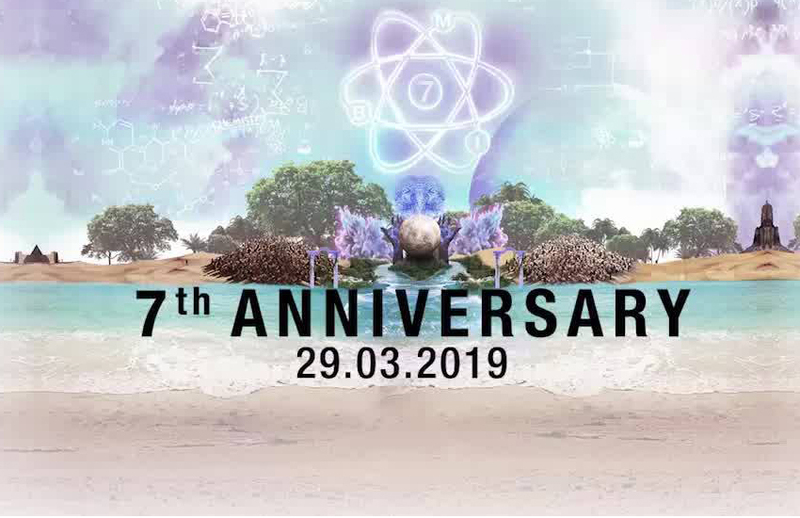 Party on indeed… Friday 29th March, Blue Marlin Ibiza UAE are having a party… A MASSIVE party to celebrate their 7th anniversary. Seth Troxler is as widely regarded for his encyclopedic knowledge of early Chicago house and minimal techno through to obscure indierock and ambient psychedelia. Born in Michigan, USA, and raised in suburban Detroit, Seth learnt the art of DJing initially from his stepfather (then a college Radio DJ) and later working behind the counter in legendary Detroit record store ‘Melodies & Memories’. It wasn’t until he made the brave decision to seek new-beginnings in mid- 2000s Berlin that his DJ career really found its feet. Moving to Berlin fresh out of his teens, just as the minimal techno movement was kicking off, was the making of Seth and since then he hasn’t looked back. Since moving from Detroit to Berlin, and more recently London then Ibiza, ten years ago, Seth has established himself as one of underground electronic music’s most iconic figures, equally at home playing to the smoke-filled dancefloors of some of the world’s most discerning nightclubs, such as fabric, Nortstern, De School or Output, as he is headlining the world’s largest festivals, like Glastonbury, Lowlands, Roskilde or Tomorrowlands. He has held residencies at talismanic music institutions such as DC10 (Ibiza), fabric (London) Trouw (Amsterdam), and Output (NYC), and in 2013 he was voted number one DJ in the world in Resident Advisor’s prodigious ‘Top 100 DJs’ poll. It’s going to be one of the biggest parties of the year, so whether the sun shines or the rain pours this weekend, make sure you’re at Blue Marlin.